Smart ergonomic design - fits 17.3" laptops, side pockets, pockets for wallet, cell, etc. 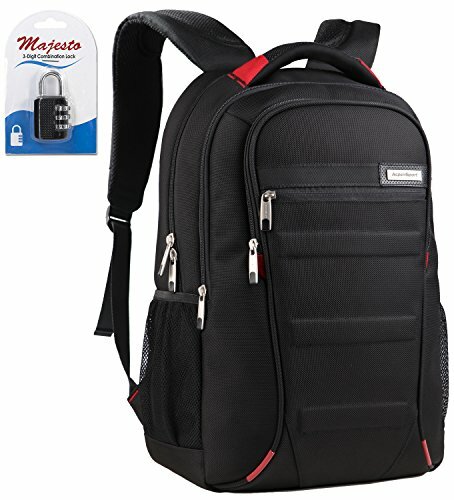 If you're looking for a versatile laptop backpack with extra-pockets that is both comfortable and secure, your search is finally over. Ergonomically designed to ensure maximum comfort, our smart backpack has unique features that make it a must-have accessory for your laptop. Let's Take a Look at These Features! Padded back and shoulder straps for superior comfort. Order Now and Carry Your Laptop Safely! If you have any questions about this product by Ruggan, contact us by completing and submitting the form below. If you are looking for a specif part number, please include it with your message.